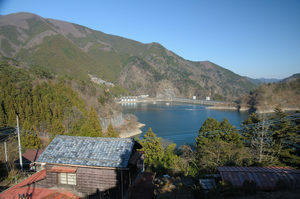 Tokyoite: Mineral information, data and localities. Named after the prefecture of occurrence. See also the possible ordered As analogue: 'Unnamed (Possible Ordered As-analogue of Tokyoite)'. 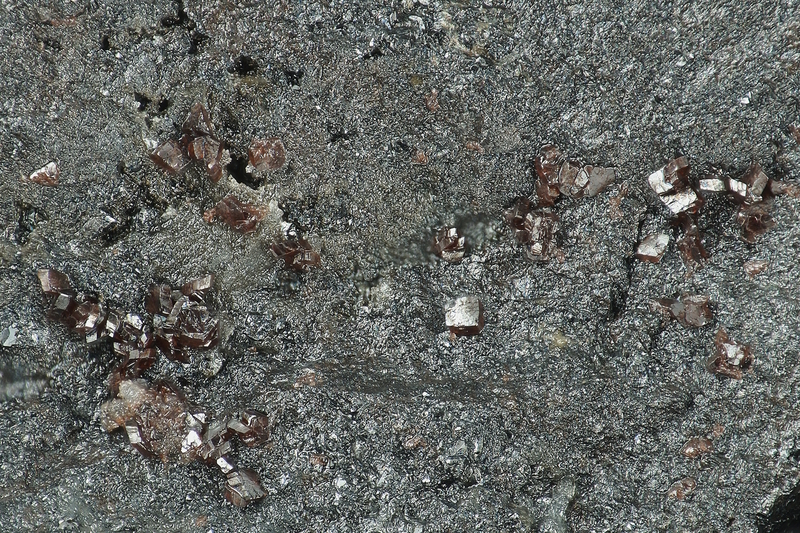 Small aggregates of irregular grains. Calcite 2 photos of Tokyoite associated with Calcite on mindat.org. 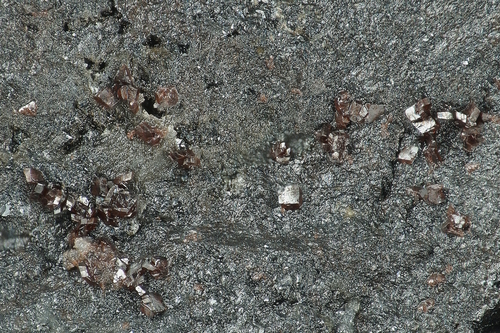 Matsubara, S., Miyawaki, R., Yokoyama, K., Shimizu, M., Imai, H. (2004): Tokyoite, Ba2Mn3+(VO4)2(OH), a new mineral from the Shiromaru mine, Okutama, Tokyo, Japan. Journal of Mineralogical and Petrological Sciences 99, 363-367. Raber, T. (2011): Tokyoit aus Krettnich, Saarland - Eine Mineralogische Städtepartnerschaft. Lapis 26 (10), 58-59 (in German). Bracco, R. (2003): Tamaite-O e tokyoite: due storie diverse, due minerali liguri in Giappone. Notiziario di Mineralogia del Ferrania Club, 17, 17-19; Bracco, R., Marchesini, M., Mezzano, I. (1999): Gambatesa 1999: l’anno del vanadio. 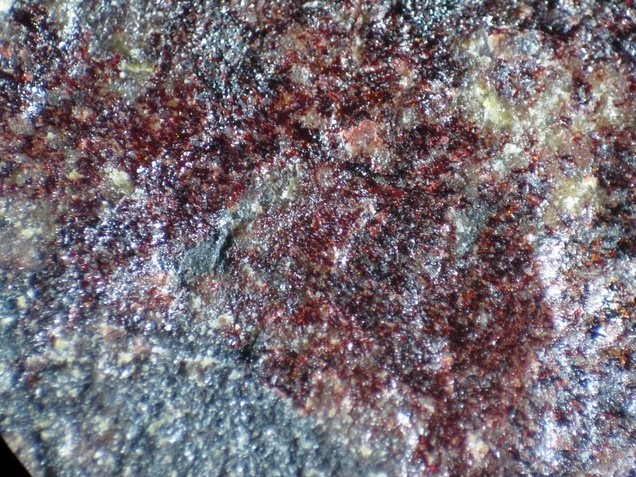 Notiziario di Mineralogia del Ferrania Club, 13, 5-7. Bracco R. (2014) Sempre novità "estere". Segnalazioni in breve. Prie, 10, 48; Cámara, F., Bittarello, E., Ciriotti, M.E., Nestola, F., Radica, F., Marchesini, M. (2015) Arsenic-bearing new mineral species from Valletta mine, Maira Valley, Piedmont, Italy: II. Braccoite, NaMn2+5[Si5AsO17(OH)](OH), description and crystal structure. 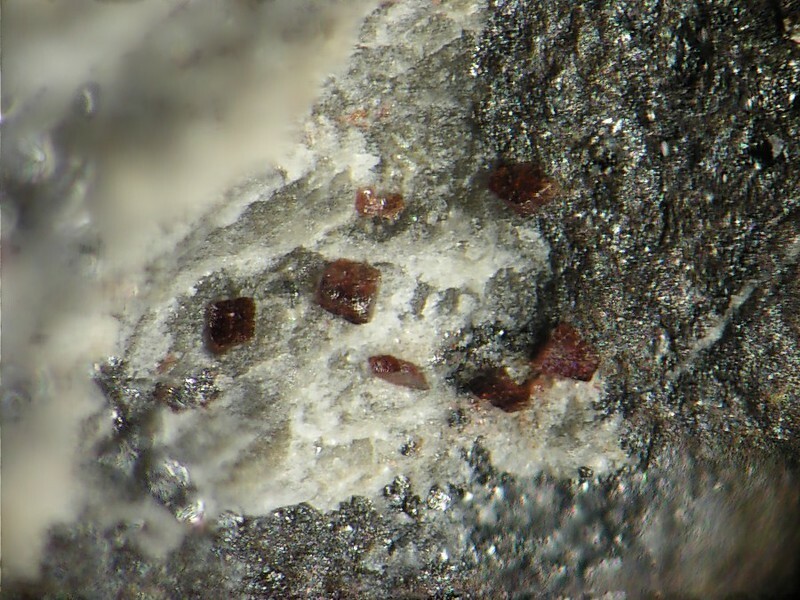 Mineralogical Magazine, 79, 171-189; Cámara, F., Bittarello, E., Ciriotti, M.E., Nestola, F., Radica, F., Massimi, F., Balestra, C., Bracco, R. (2017a) As-bearing new mineral species from Valletta mine, Maira Valley, Piedmont, Italy: III. Canosioite, Ba2Fe3+(AsO4)2(OH), description and crystal structure. Mineralogical Magazine, 81, 305–317. Takashi Yamada, et al (2008) JAKOKA: 2008 Annual Meeting of the Japan Association of Mineralogical Sciences, R4-01. Am Min 90:1468; Matsubara S, Miyawaki R, Yokoyama K, Shimizu M, Imai H (2004) Tokyoite, Ba2Mn3+(VO4)2(OH), a new mineral from the Shiromaru mine, Okutama, Tokyo, Japan. Journal of Mineralogical and Petrological Sciences 99, 363-367; photo in: Koubutsu Doshikai (2017) Kanto-to Shuhen-no Koubutsu (279pp). Costin, G., Fairey, B., Tsikos, H. and Gucsik, A. (2016). Tokyoite, As-rich tokyoite and noélbensonite: new occurrences from the Postmasburg Manganese Field, Northern Cape province, South Africa. The Canadian Mineralogist, 53, 981-990.